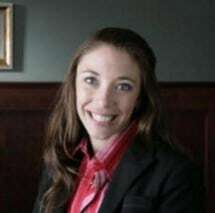 Jessica D'Varga is an Associate Attorney with The Law Offices of Saia & Piatt, Inc. She has dedicated her practice to the defense of OVI, criminal, and traffic offenses. Attorney D'Varga has conducted extensive research of the laws relating to OVI offenses, as well as criminal and traffic offenses, and is a strong advocate for clients in Columbus and Delaware, Ohio. Jessica has set herself apart from her peers by completing training in the operation and maintenance of the Intoxilyzer 8000, the newest breathalyzer machine to be put in use in Ohio. She has also completed the National Highway Traffic Safety Administration's course on DWI Detection and Standardized Field Sobriety Testing-the same course administered to police officers throughout the State. Jessica has spoken at several seminars on the topic of DUI defense and speaks at Second Chance Counseling's Driver Intervention Programs.